Samsung Galaxy S9 is going to hit the android market this year. Many people are saying that Galaxy S9 will beat Galaxy S8 for sure. However, rumours are that S9 will just get some decent updates and nothing else. So the question is that which is the best phone to buy from one of these? 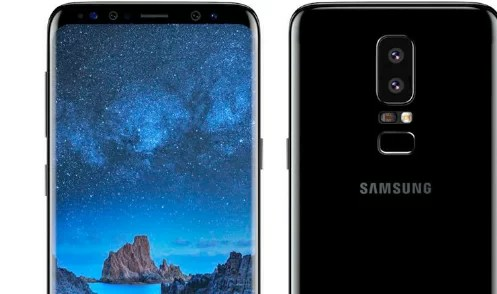 Samsung announced that the new Samsung Galaxy S9 will be disclosed in the next month in Spain at Mobile World Congress. 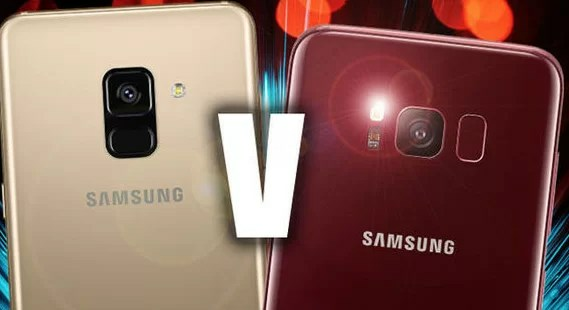 According to the tech experts around the world, S9 will beat the previous flagship, the Galaxy S8. While others claim that Galaxy S9 will be nothing more than a little bit of upgrade being made to award-winning Galaxy S8. Moreover, Galaxy S8 was the most popular smartphone in 2017. Therefore Galaxy S9 is expected to be something much better than the previous model. So concluding all the rumours and leaked concepts we compared the two phones something like this. No matter Samsung Galaxy S8 with its curved display was a masterpiece from the Korean manufacturer. Samsung Galaxy S8 has 5.8” of AMOLED display with crispy details. For Samsung Galaxy S9 we are expecting the same display like the S8. Samsung has been producing phones with awesome displays from the past few years, so there might be something new. But there are maximum chances that we will scroll the same screen as on S8. With Samsung Galaxy S8 having single lens camera, it is expected that Samsung should include dual-lens setup in the upcoming flagship. Because in the android market most of the rivals like Huawei and iPhone are introducing phones with Dual-lens technology. Leaked news and concepts are triggering rumours that S9 will not have this feature, but S9+ will. However, it is sure that Samsung will upgrade camera modes and imaging quality in low light conditions. We might not see the dual-lens camera but it is confirmed that Galaxy S9 will be the fastest phone from Samsung yet. Rumours are that S9 will be powered by the Eynox and Snapdragon 845 chip. If it is true, then it will be a phone with fast processing power and outstanding battery life. Not only the battery life but the charging the battery itself will be faster than the previous models from Samsung. The only downside of Samsung Galaxy S8 was its fingerprint scanner. Reason to this was the placement of fingerprint scanner right next to the camera at the back. We are hoping that Samsung might have learned a lot from the past and will not commit that mistake this time. It is expected that we will unlock the Galaxy S9 through scanner placed just right below the back camera. Recently, Samsung has shown the evidence of fingerprint scanner below the camera in their upcoming midrange phone, the Galaxy A8. Samsung Galaxy S8 was the best phone when it comes to pricing. You can buy one from Amazon for nearly $600. However, Galaxy S9 is expected to be around $700-$750 at the start. Concluding all the rumours, news and leaked concepts we might say that it will be better to give a try to Samsung Galaxy S9. But make sure you buy it if it comes with fingerprint sensor below the camera. Otherwise, Samsung Galaxy S8 is the best phone to buy when it comes to features and price. I love writing about things. I am new to Blogging but I prefer it over anything else. Quantum Code Review 2019 | How Quantum Ad Codes can make you Rich?